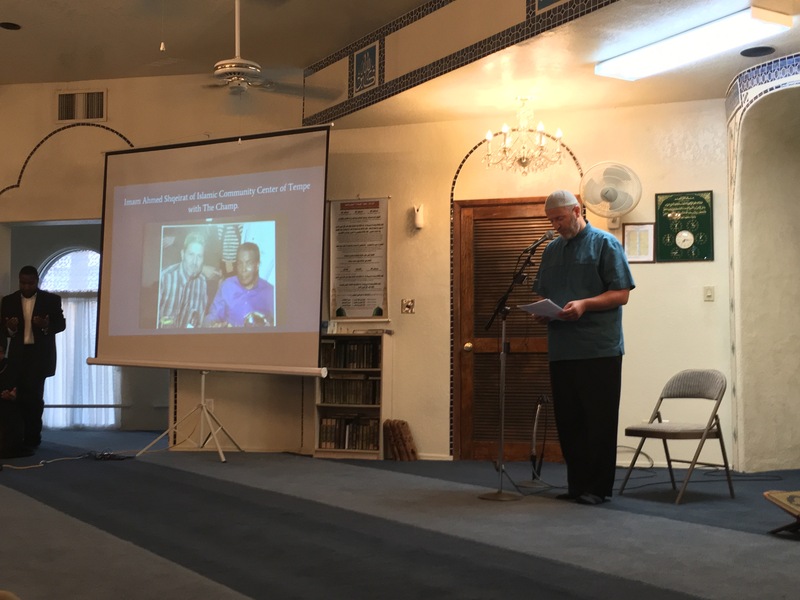 TEMPE – Three verses from the Quran are melodically recited in traditional Arabic as more than 100 people pay tribute to Muhammad Ali in a Tempe mosque. The verses speak of the inevitability of death and the importance of living a good life. Ali was praised as the model of an American Muslim who was proud, steadfast through adversity, and a powerful purveyor of Islamic values. Ali, 74, died at a Phoenix area hospital Friday after decades as a celebrated boxer and activist. People of all generations, racial and ethnic backgrounds attended the memorial, side by side, Sunday at the Islamic Community Center of Tempe. Some were longtime attendees of the mosque, some were there just for the occasion, all united for a single purpose: to celebrate Ali. His conversion and name change was controversial at the time, with some journalists refusing for several years to acknowledge him as Muhammad Ali. He converted to mainstream Sunni Islam in 1975. Zarinah Nadir, who translated the Quran verses to English, told the crowd she admired Ali. 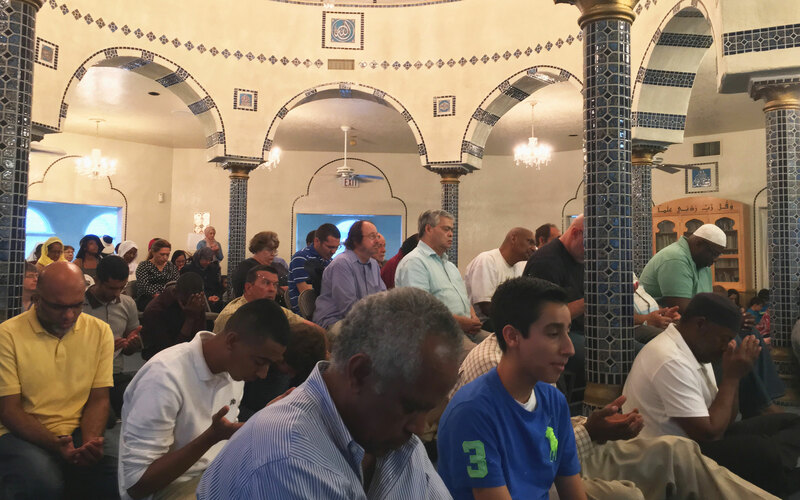 Usman Karriem, board chair of the Islamic Community Center, praised Ali for modeling Muslim values. “Think about what this man had to endure, and how his character personified the essence of the human being, of the Muslim,” Karriem said. Angelica Lindsey-Ali, a community activist and behavioral health counselor, said Ali was proud of who he was. Mohamed Ahmed, a recent McClintock high-school graduate who attended the memorial, said Ali inspired him. “I strive to be a Muslim athlete just like him and try to learn from his mistakes and his lessons,” Ahmed said.